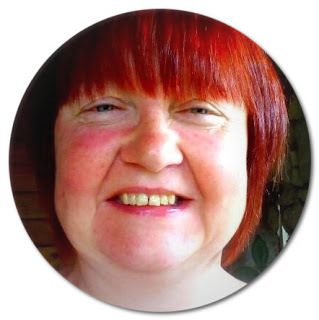 My name is Kim, I am 58 years old and I work full-time in a care home as well as blog. I moved to Wales from Birmingham after my husbands passing in 2013 with my daughter Kelly who is a blogger at www.kellyallenwriter.com. I live in Cardiff, Wales. Just being together is wonderful, there is so much chatter and laughter! Anywhere within a reasonable distance of my daughter, although I do have a soft spot for London. No, I grew up in Birmingham, both my parents worked so we spent a lot of time with my Nan and Aunt. I have fab memories of the love and laughter, plus squabbles between my sister and aunt (neither would back down - they loved each other dearly though). My daughter is editing her novel, so I am super excited to read the finished novel as it has undergone changes since it was her dissertation for her Masters in creative writing. The love and support we all give each other. Thank you for taking the time to answer these questions Kim, it must be so strange moving somewhere new after so many years in your hometown. I think I would be the same though and move to live near my children if they ever moved away. How exciting that her daughter is finishing her first novel! She must be so proud! Lovely to always find out more about the blogger behind the blog. Great interview! Love reading about others bloggers. I also have a soft spot for London. I must confess I have already discovered Kim as I am a fellow Cardiff-based blogger. Lovely interview.